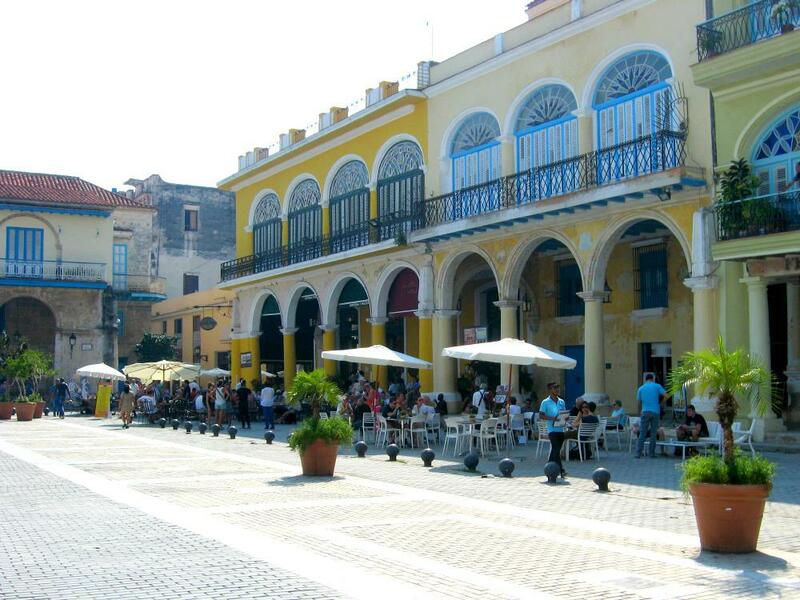 Any visit to Havana should start in Havana Vieja, the most charming part of the capital. The colonial buildings are being restored with UNESCO funds, the streets are being paved again and here you will find the best amount of bars and restaurants in the whole of Cuba. Havana Vieja is located eastward from El Capitolio and is bordered by the Prado boulevard (Paseo de Marti) in the west, the water of the river and sea in the north/east and it stretches approximately until ‘calles’ (streets) Sol and Luz in the south. Havana Vieja is best discovered walking. The four squares in the area are the most interesting sights: Plaza de la Catedral with its majestic cathedral, Plaza de Armas with its colorful book market full of propagandist titles and beautiful film posters, Plaza San Francisco with its living statues and just married couples and lastly my favorite square: the wonderfully restored Plaza Vieja. Reserve a few hours for the walk around Havana Vieja as you will need it: parked classic cars which are being repaired on the spot, ladies with curlers passing on the neighborhood gossip in the doorway, bicitaxis cycling on the paved alleyways and state shops with a rare product on the shelves here and there. If you walk some blocks down from the main streets Obispo and Mercaderes, you can watch every day live passing by. 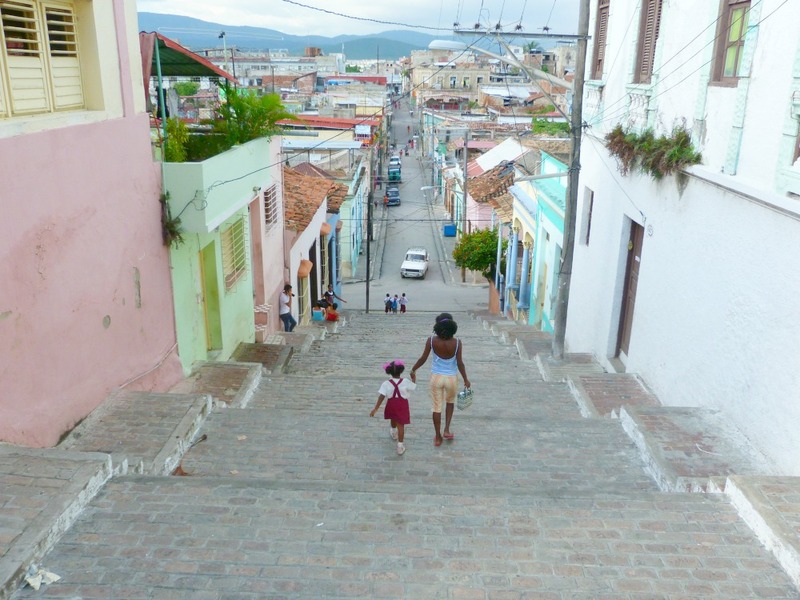 Your goal should be to get lost at least three times, because that’s what makes exploring Havana Vieja awesome. 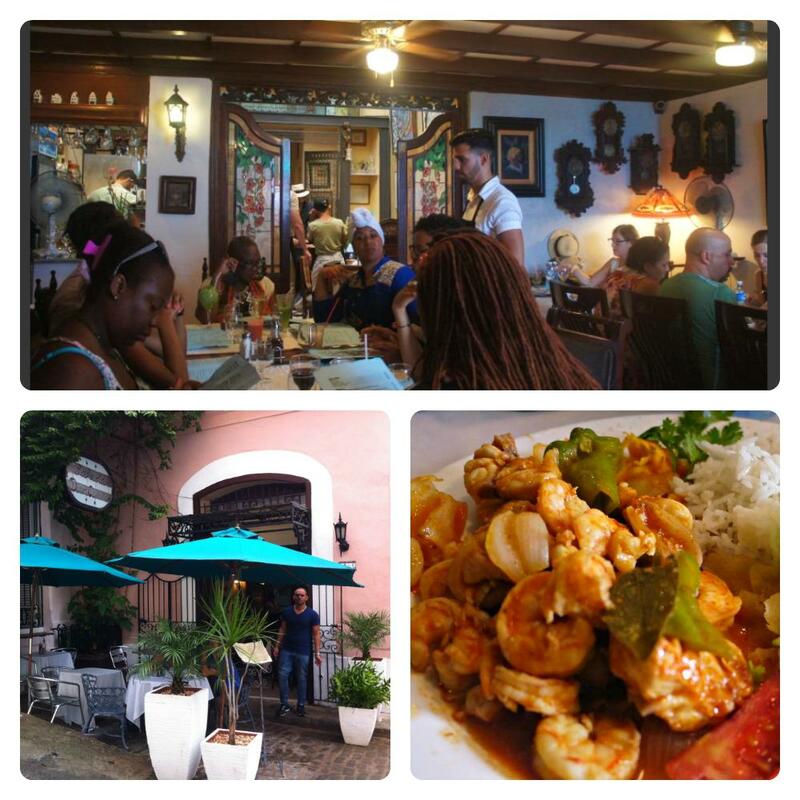 When you arrive at Plaza Vieja, you might want to stop for lunch. My favorite place to lunch in the city is here: Cafe Bohemia, serving divine baguettes, freshly squeezed juice and even yoghurt (!). Prices are reasonable too. 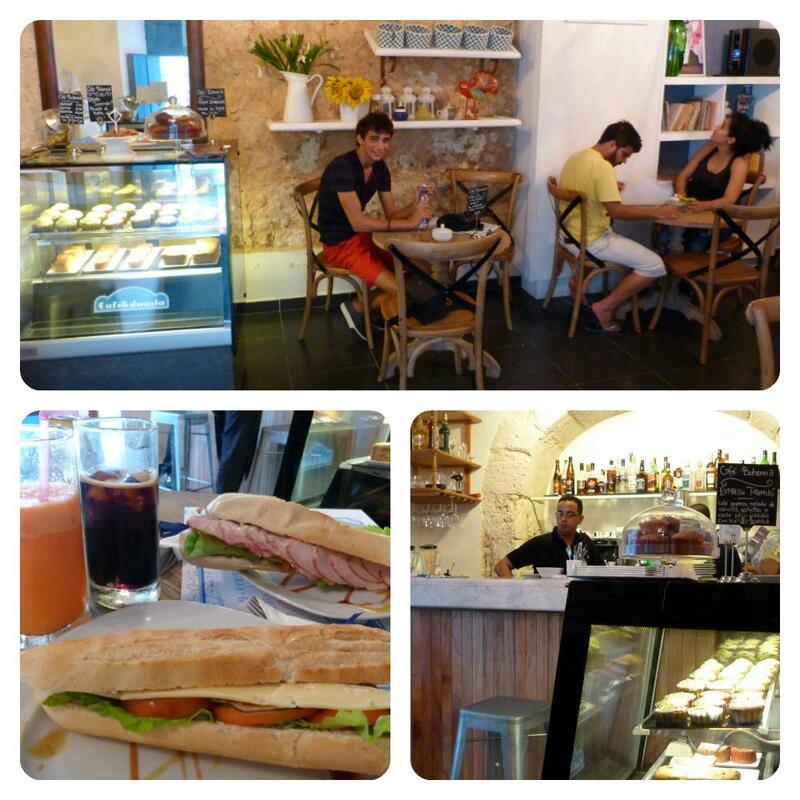 It is one of the very few places in Havana Vieja serving a breakfast, besides your casa particular or hotel of course. Another great tip: next to Cafe Bohemia lays Cerveceria Plaza Vieja, a brewery-slash-bar that serves homebrewed beer, ranging from blonde to dark brown. It’s a welcome change from the ever present Cuban state beers of Crystal or Bucanero. Always ask for the menu if you order a beer or cocktail – see the advice below the article. Cafe Bohemia, Plaza Vieja, Habana Vieja. Paninis cost 6CUC (see picture below), yoghurt with fruit and muesli 3CUC, fresh juices 2.50CUC. Cerveceria Plaza Vieja, Plaza Vieja, Habana Vieja. Price for beer and cocktails 2-5CUC and snacks are available too. After lunch you can find your way towards El Capitolio (try to get lost once more on the way). El Capitolio is built with the American White House as its example – just a little bit bigger of course. I’ve heard you can somehow enter the building, but as long as I’ve been visiting Cuba the thing has been continuously in renovation. Luckily it’s already quite impressive from the outside. Actually, the best part of El Capitolio is all the old timers parked in front of it! You can take a ride in them, see tip #4. I also like to hang out at the corner across the street from El Capitiolio. just to watch everything passing by… Shiny polished convertibles, rusting classic cars blowing out dark smoke, humming cocotaxis, bicitaxis, hand carts with veggies and fruit… welcome to Havana! 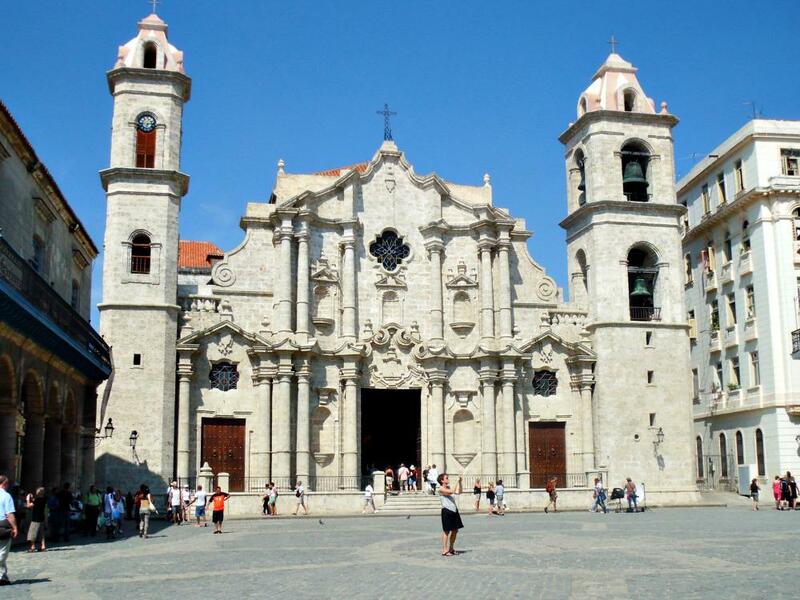 Havana Vieja is Havana’s touristic center and definitely worth exploring. 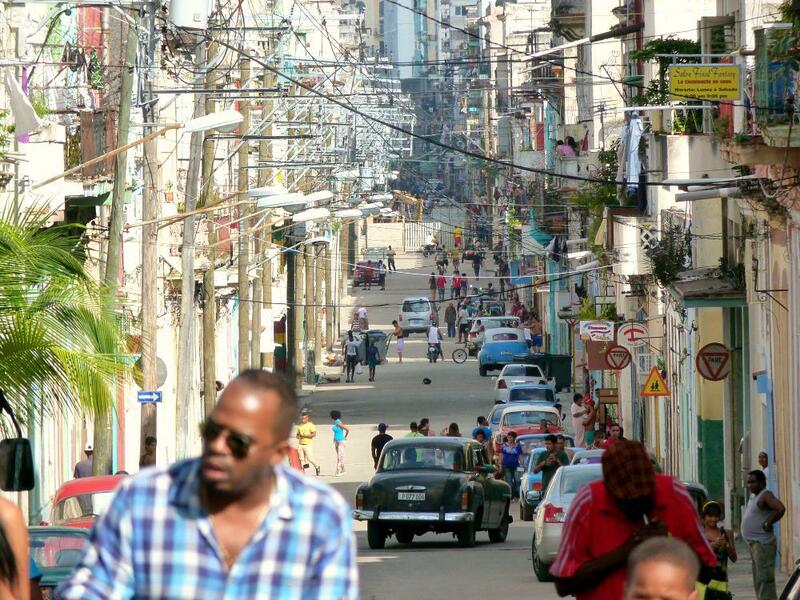 But Havana’s other neighborhoods are no less interesting: they will show you the city life outside the touristic area. My favorite way to explore the city is with a classic old timer taxi. 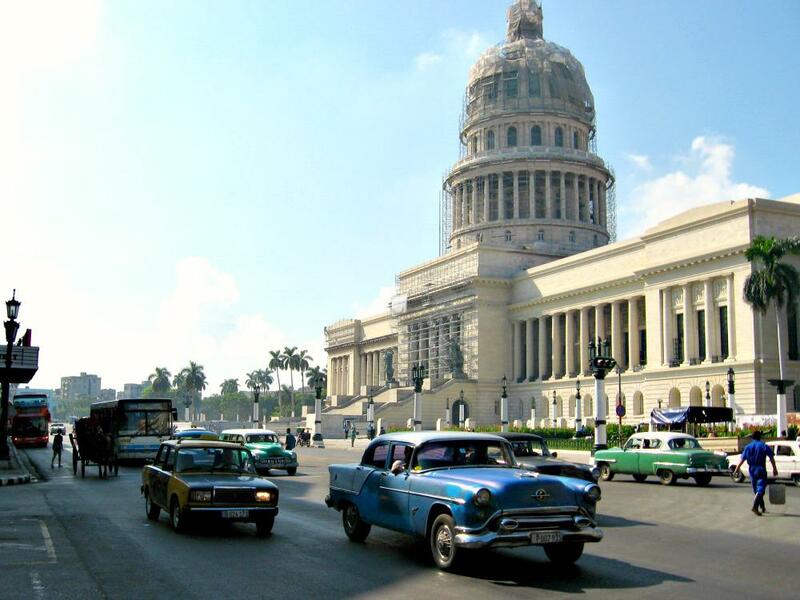 A long line of shiny classic cars can always be found at the Capitolio, and you can rent them for 1 or 2 hours – driver included (though most of the time he won’t speak English). Prices are shown on the laminated card, given to you by the ‘intermediaries’ who will come up to you. Regular price is around 40CUC for an hour, but feel free to haggle. It’s always a bit unclear how the tours by car are arranged exactly: who will be my driver, who is this person who I am giving my money to? But: it’s really worth it, you just have to hang in there. 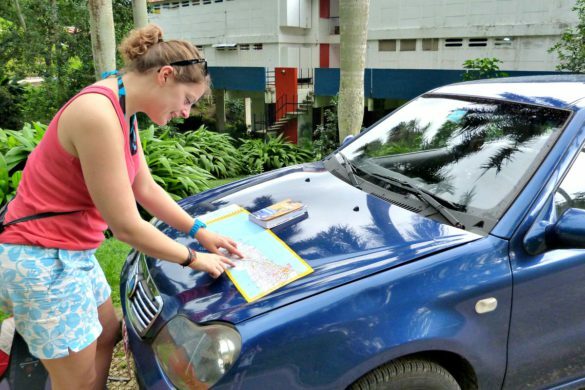 In November 2015 we, the four of us, paid 30CUC in total after some haggling, for a one hour tour. An hour is about right, as it allows you to get a nice ride. For example along Chinatown towards Plaza de Revolución, via the Cementério Colón, along embassies and the villas of Miramar, towards the Río Almendares park and back to El Capitolio. During the ride you will have the opportunity to take some pictures and to walk around a bit during the several photo stops. If you prefer to have more time to walk around, you will have to book half an hour or even an hour extra. Do you think that renting a classic car for an hour is too expensive? Fortunately, a budget alternative is available! The T1 hop-on-hop-off bus leaves from Parque Central, next to the Capitolio, the place where all old timer taxis are also gathered. This will set you back 10CUC per person and you can hop on or off anywhere alongside the route as you please. The bus actually drives the same route I described above and you have the possibility to get out at Plaza de la Revolución, the cemetery, at Hotel Nacional near the Malecón, in Miramar, at the fort across the port, etc. Tickets can be bought inside the bus. The days are behind us where you had to eat beans and rice for dinner all the time in Havana. Privately run restaurants, or paladares, keep popping up like crazy all over Cuba. One of my favorite restaurants is a paladar that has been around for years on end: Doña Eutimia, located in an alleyway near Plaza de la Catedral in Havana Vieja. The menu you ask? Traditional Cuban dishes like ropa vieja (slowly cooked beef), grilled chicken and black beans with cumin and bay leafs. Delicious! Cheap as well, considering how popular they are. Yes, Doña Eutimia is so popular that without a reservation you won’t be able to get a table. On your first day in Havana, make sure to speed to the restaurant to get a reservation for the next day. Or even better (like I do nowadays) call them a week beforehand and order a table in your most fluent Spanish. It’s worth trying! Paladar Doña Eutimia, Callejón del Chorro #60c, sideway near Plaza de la Catedral, Habana Vieja. Telephone: +53 (0) 7 8611332 of +53 5 281 5883 (mobile). A main dish is around 7-10CUC. 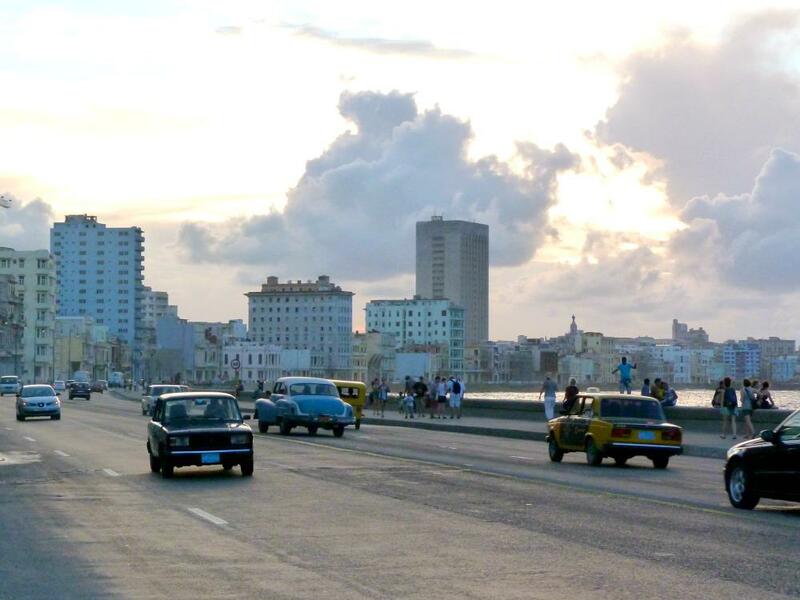 The Malécon is the boulevard running along the coast, about 8 kilometers from Havana Vieja to Miramar in the west. Habaneros use the Malécon as a kind of public living room: in the end of the afternoon, when the sun is about to set, Habaneros use the boulevard to hang, to chit-chat, to make music and to sell snacks. 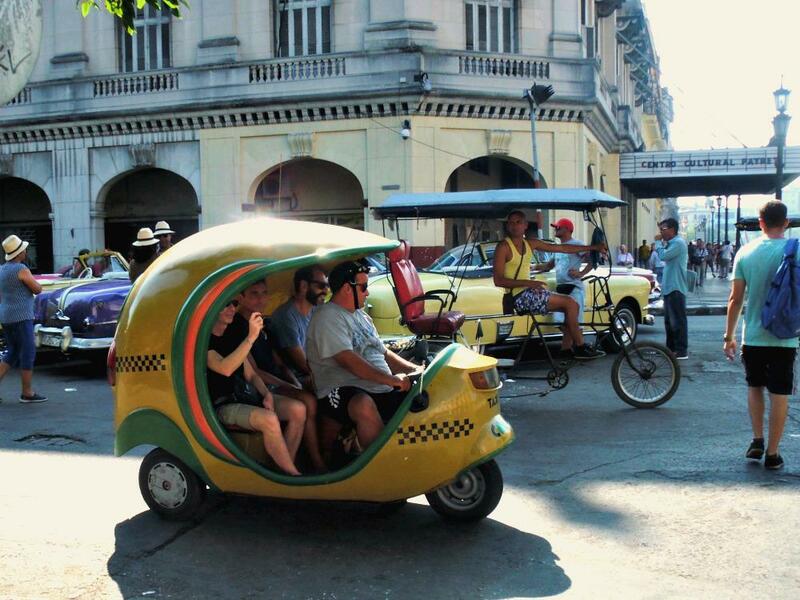 It’s always a good idea to take a cocotaxi, a yellow ball-shaped Cuban variant on the Asian tuktuk (with resemblance to a coconut, hence the name) to drive along the Malécon. Have yourself driven to Hotel Nacional, a great trip and a perfect place to have a mojito (which costs a staggering 5CUC, whoops), with view over the Malécon and the sea. If you want to grab a bite along the Malécon, I’d advise Café Neruda. Maybe not Cuba’s best culinary hotspot but the grilled shrimps, lobster and fish, accompanied with rice are delicious nonetheless. And what is more important: in my opinion they serve the best piña coladas in all of Havana. Or even Cuba! Prices are reasonable too. Perfect sport for a sunset cocktail. Café Neruda, Malecón #203, between calles Manrique and San Nicolás. Dinner 7-10CUC per person. Of course Cuba is known for its great lust for life. Music is an important part of everyday life and the Cubans are very fond of dancing. 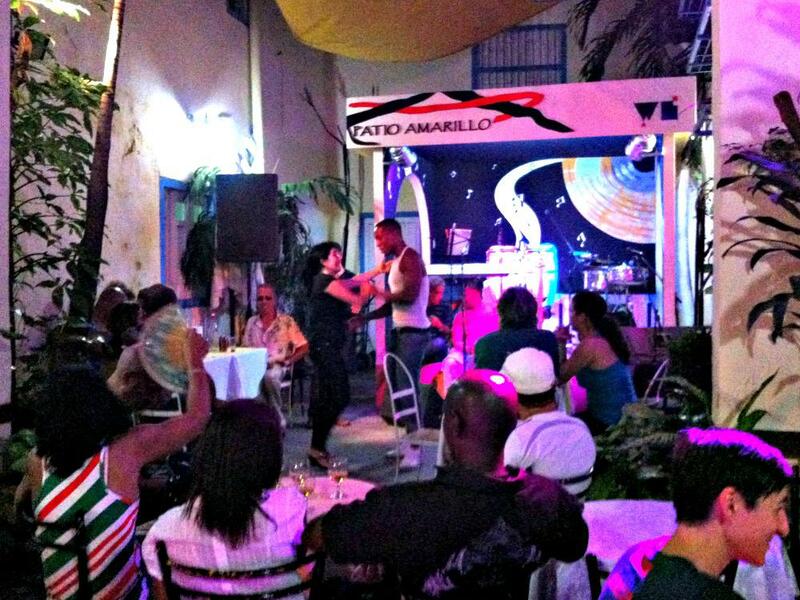 Havana has quite a few famous bars, like the Casas de la Musica in the neighborhoods Centro and Miramar. To be honest: I’ve been there and they weren’t that exciting. Large, impersonal and with a hefty entrance fee (sometimes up to 20CUC per person). Other popular bars like La Bodeguita del Medio and El Floridita – both favorites of the famous writer Ernest Hemingway – aren’t my favorites either. They are mainly full of tourists, or Cubans trying to get it on with a westerner, and they serve overpriced cocktails. But where to go? Well, my favorite place is El Patio Amerillo, next to Plaza de la Catedral. This is a cultural center, with a live salsa band from Wednesdays to Sundays around 10 pm. It’s a favorite among Habaneros and other Cubans. Not too much room to dance, but that doesn’t stop anyone here: get your feet off the ground! Even if you’re a terrible dancer, everybody will love you for at least trying. What about the entrance fee? There is none. And with 3CUC, cocktails are reasonably priced, especially considering you are in downtown Havana. El Patio Amarillo the ARTEX, Centro Wilfredo Lam, Calle San Ignacio #22, between Empedrado and Tejadillo. 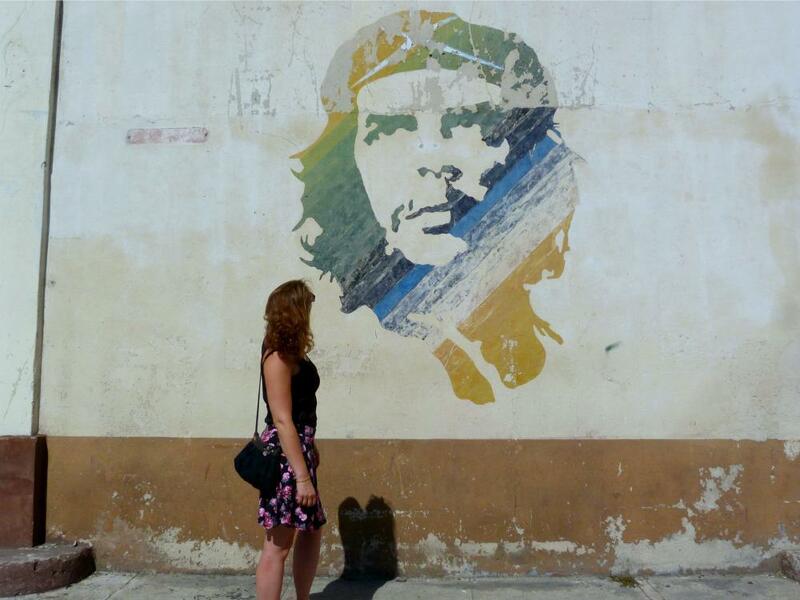 A typical image all around Cuba are the propagandistic paintings and billboards sporting Che Guevara. 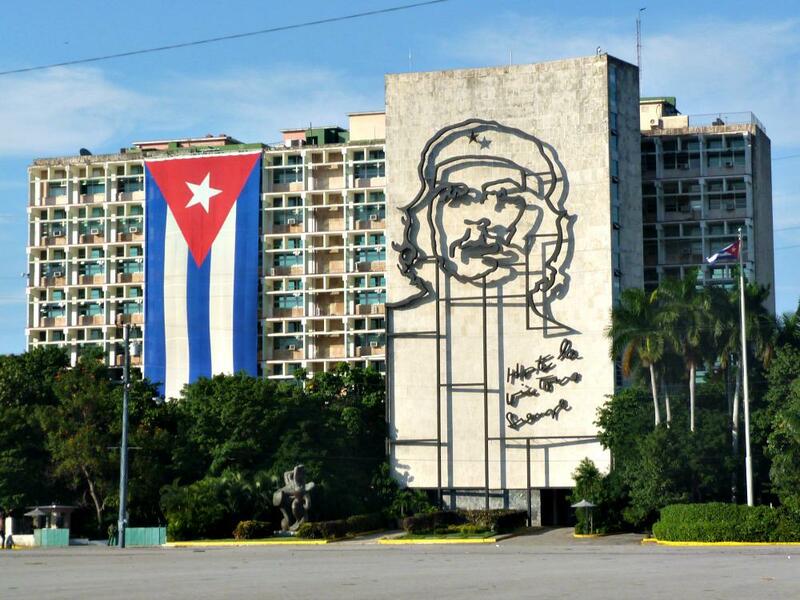 Havana has one of its most famous landmarks on Plaza de la Revolución, with the gigantic portrait of Che attached to the façade of the Ministry of Internal Affairs. The man with the beard on the building next to it, isn’t Fidel Castro, as many travelers assume, but Camilo Cienfuegos: a Cuban revolutionary and friend of Fidel in the fifties. If you know where to look for them, you can also find some great propagandistic wall paintings in Havana Vieja. 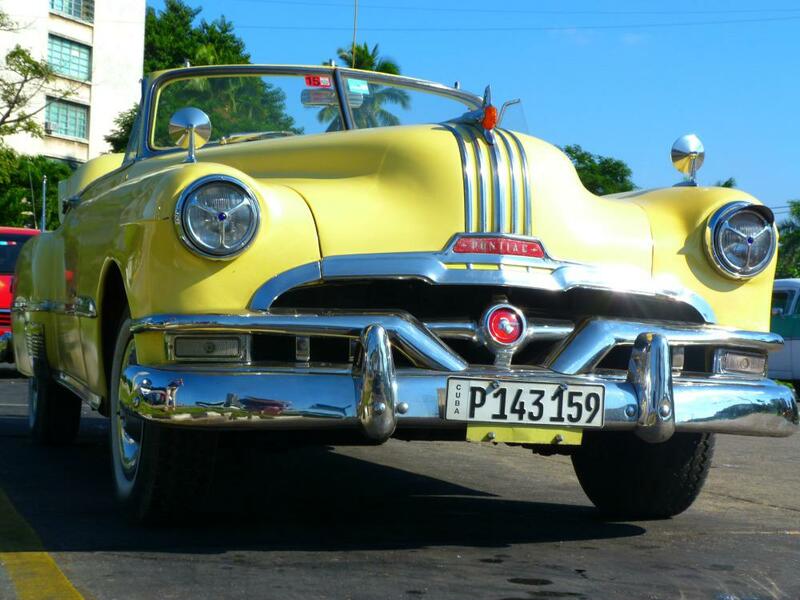 The most well-known can be found in Havana Vieja’s harbor, on the parking lot next to the harbor building. Just cross the road at Plaza San Francisco towards the harbor building’s parking. You will find a large Che portrait on the wall. Another painting can be found in Calle San Ignacio, at the corner adjoining Calle Santa Clara. The pink wall here has another large portrait of Che Guevara painted on it. Yes, rumors are true, Havana really does have a shopping street! That is quite remarkable, in a country with hardly any capitalism at all and where the most basic needs are provided by the state through a ration book. If you walk in Havana, you will sometimes see a typical ‘hole in the wall’ shop, selling milk or meat, or a bodega – state owned shop – mostly recognized by the empty shelves and not particularly motivated employees. But Havana Vieja has some proper capitalism going on in Calle Obispo. The last couple of years this street has become ‘westernized’ and you can find shops with sneakers, cosmetics, office supplies and household items. Note: all these products have to be paid with strong CUC, meaning they are all seen as luxury items. Cubans with an average state wage of around US$20 can hardly afford them. But times are changing and the number of Cubans who can buy and sell these products is increasing. It’s quite interesting to stroll around Calle Obispo and to see what’s on sale. Little shock: Plaza Vieja has a Benetton and Lacoste store nowadays. Wait… what? If you are not too picky in regards to street food, you should try some snacks being sold in Calle Obispo. You can pay in Cuban pesos (you can also pay in CUC, although you’ll receive your change in pesos, and be ready to get short changed as always). My favorite street snack in Havana: churros, which are often sold at the corner near Café Paris or or on Plaza Vieja, and the ice cream at the local ice cream shop close to restaurant La Caribeña. If you have a larger appetite, you can buy a peso pizza at these typical ‘hole in the wall’ pizzerias. Often it’s just an open window with a small cardboard sign next to it, while someone is preparing pizzas in small pans under the staircase. Cuban pizzas don’t really have a great taste, but they’ll fill you up alright. A pizza is about 10 pesos (€0,35) and an ice-cream around 5 pesos (€0,18). Havana is near the sea and you’ll find some great Caribbean beaches nearby. Not a lot of travelers know this, and that’s why it makes for such a nice getaway to escape the heat and chaos of the city. 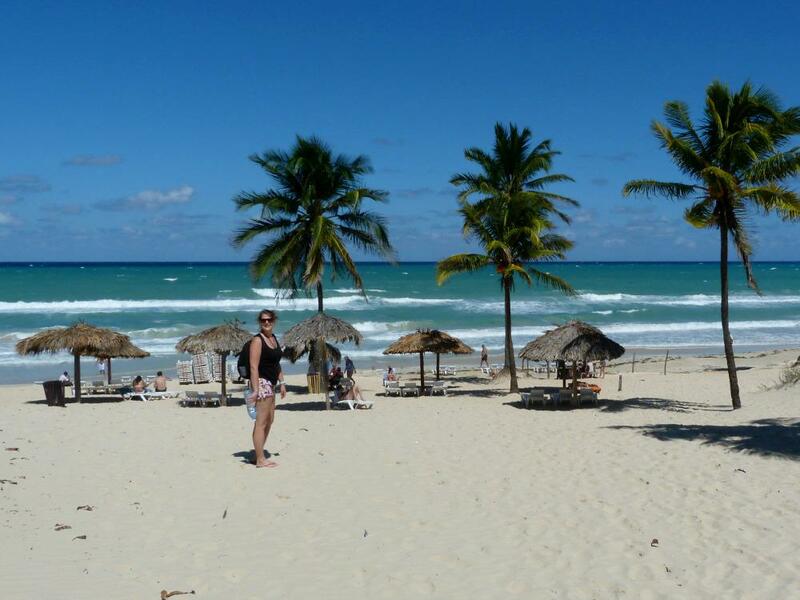 The best beaches are about 15 kilometers east of Havana, near Playa del Este. You’ll find six different beaches here, and I like Playa Santa María del Mar the most. You can get there with your own rental car, you can take a taxi for about 10CUC one way, or pick the budget option (like we did): the T3 bus. This bus leaves from the same spot as the T1 hop-on-hop-off bus, from Parque Central and a ticket will cost 5CUC for a full day. The last bus returning from Playas del Este to Havana leaves around 5 or 6 o’clock, so make sure not to miss it. After my visit to Cuba in May 2016 it is time to add an new hotspot to this list: restaurant El Chanchullero, on Plaza El Cristo in Havana Vieja. It looks like a very small bar – when I got there the first time I passed by it twice before I realized I’d already arrived. The restaurant has three floors, with a bar on the lowest floor and a roof terrace on top. The middle floor has a table for two in a kind of cage, very funky..! El Chanchullero simply has ridiculously good food for very cheap prices. That allows Cubans to eat there as well. 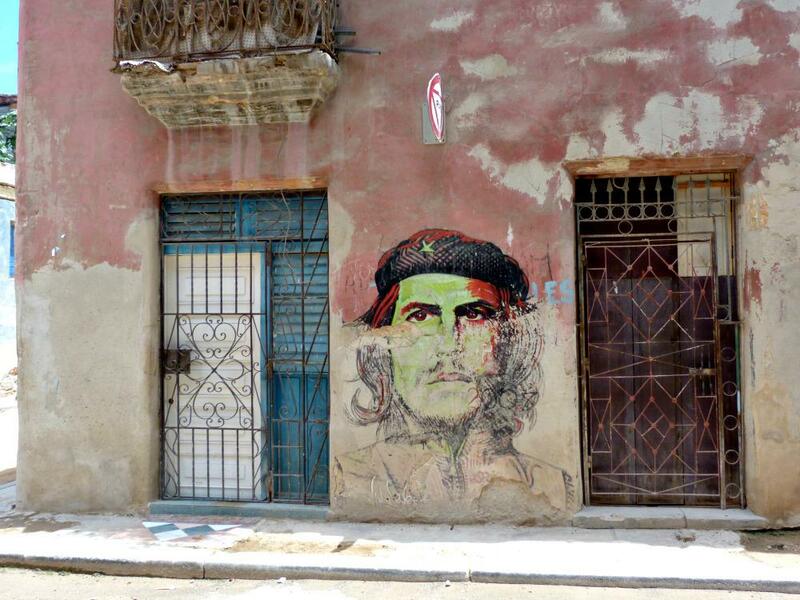 The place is almost too trendy for Cuba to handle, with political cartoons and storytelling on the wall. And the food? It’s Cuban with a modern twist, like ropa vieja, garlic shrimps with salsa and tomato bruschetta. The dishes are between 3 and 5 CUC each, and for that kind of money you’d expect tapas-like dishes. But it couldn’t be further from the truth: they are proper meals alright! Jesús loves El Chanchullero as well. And this brings about the next problem: we don’t want to eat anywhere else in Havana anymore… even when I’m required to try out new restaurants for my blog! El Chanchullero opens at 1pm for lunch and at that moment you can already get in line in front of the door. Our advice: come early, join the queue and wait for your turn, because it’s all worth it! Restaurant El Chanchullero, Calle Teniente Rey #457, Plaza el Cristo between Calle Bernaza and Calle Cristo, Havana Vieja. 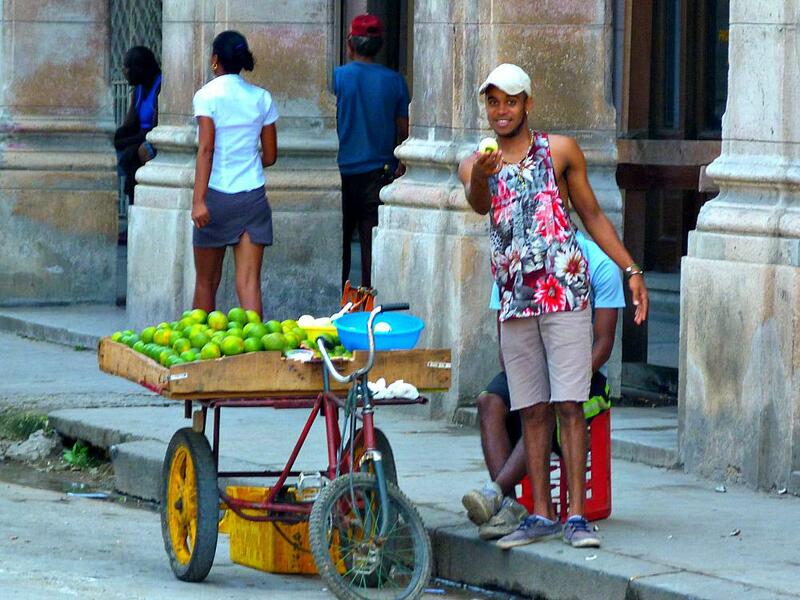 Where to sleep in Havana? 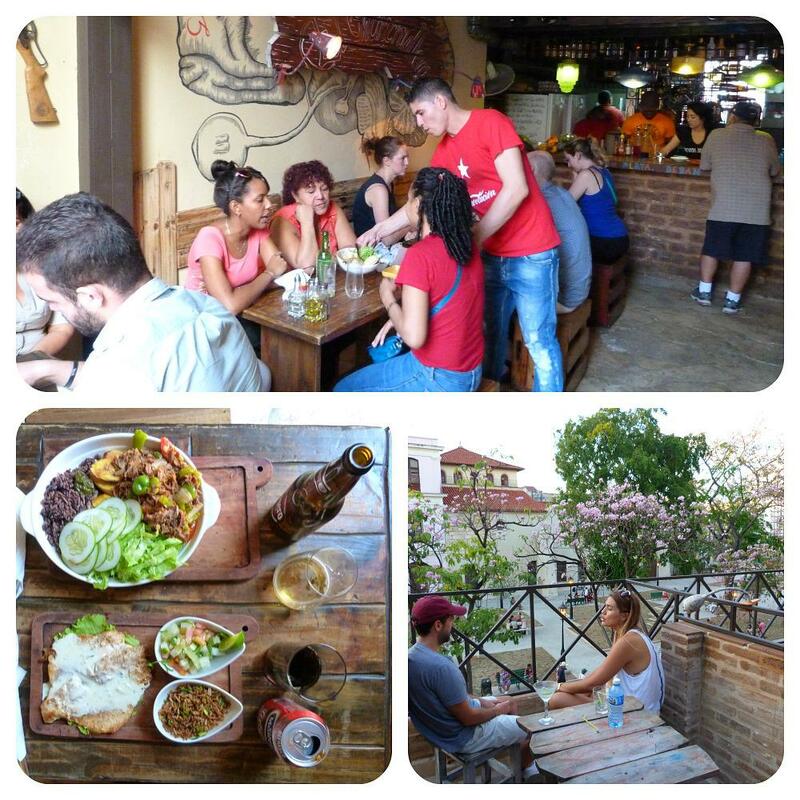 For me, Havana Vieja is the best place to base yourself: it’s a nice neighborhood, it’s always lively, it’s safe and you’ll find a wide selection of restaurants and bars. It also makes a good base for exploring other parts of the city, because in Havana Vieja you’ll always be able to find taxis and cocotaxis to bring you to other neighborhoods. When in Cuba, I always prefer to stay in a casa particular, and not in a state-owned hotel. I usually make my casa reservations through the website Homestay.com, very easy. It’s a neat website, with images and reviews of all the casas, and you can book online straight away. That’s actually quite rare in Cuba, as the internet is not that widespread yet! 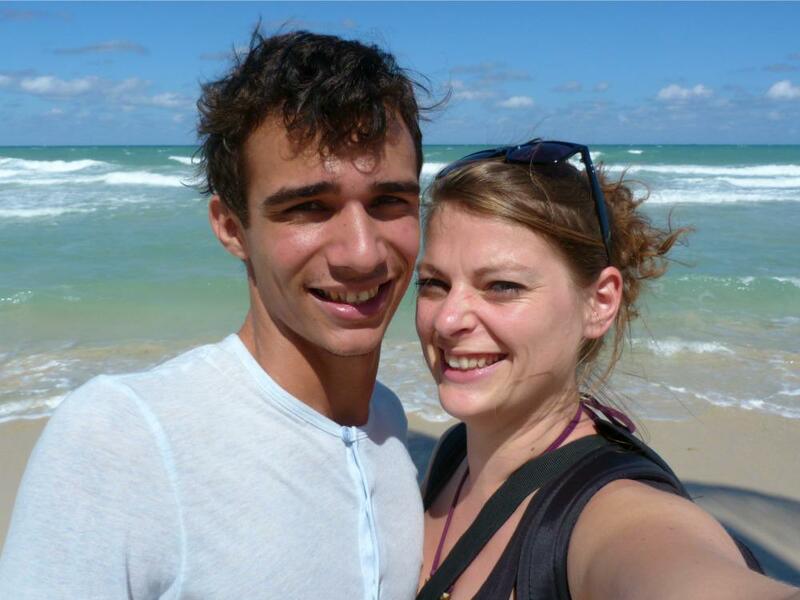 You will find a wide variety of casas in Havana Vieja on Homestay.com, and also in other parts of Havana actually. A little insider tip for Havana Vieja: always ask the menu before you start ordering your drinks and/or food, to check the prices! A lot of places have the nasty habit to overcharge unsuspecting tourists. Make sure to know how much your order will cost, to avoid problems if the bill shows up. Even after visiting Havana for over seven times we still ask for the menu first – and Jesús is a Cuban himself, but they try to overcharge him as well! We sometimes forget to ask the menu if we just want to have a drink, and can end up paying 3CUC for a simple coke. That’s not right… but without having seen the menu, you don’t really have any arguments left. Just make it a habit to always ask for the menu if you sit down somewhere. Cuba is a safe country and criminality is – I know it’s hard to believe – almost non-existent. The only place where you have to watch your valuable stuff might be Havana. Especially very late in the evening, or at night, in the small alleys, surrounding the bars where you’ll find drunken people. Only take some small change with you in your pocket if you want to go out at night and you’ll be fine. Do you want to visit Havana? 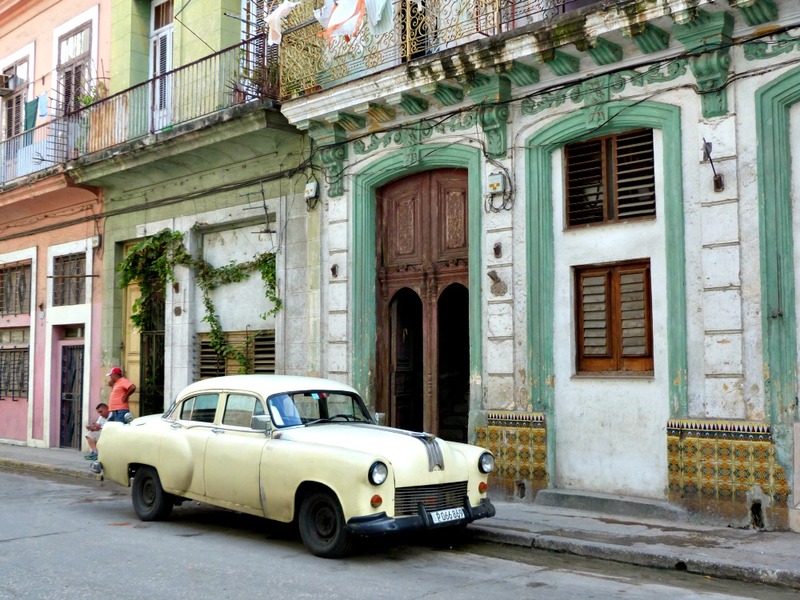 Or have you been to Havana and want to add something to the list? Let me know in the comments! This article contains affiliate links. Wanna know more? Those baguettes look really good. Normally I don’t really like the bread abroad… Too sweet. The color of the sea looks wonderful. Maybe one day I’ll go and have a look myself. Thank you so much, very helpful! I’m going to Cuba on August 26th. I’m leaving from NYC, I’m traveling alone staying at a casa particular em Corjimar, Havana. I’m wondering anything that would be helpful for me based on the area I’m staying in? Hi Ellysa, wonderful that you’re going to Cuba soon! Cojimar is a bit to the east of the center of Havana. From here, you can easily go to the nice beaches at Playas del Este as they are close by. Also, there are two nice fortresses on the eastside of the harbor that you can visit: Castillo de los Tres Reyes del Morro and Fortaleza de San Carlos de la Cabaña. This last one has a famous show every night at 9m where they fire some real cannons! I just booked my tickets to Cuba for next February and need to start planning my intinerary :) Unfortunately it will be quite short trip as only 8 full days in Cuba. Could you give me any advice what would be the best to see in such a short time? And I would love to have 2 days on the white sandy beach as well ;) I would really appreciate if you could give me any tips as I have no idea what will be feasable to make :) I’m arriving and leaving from Havana Airport. 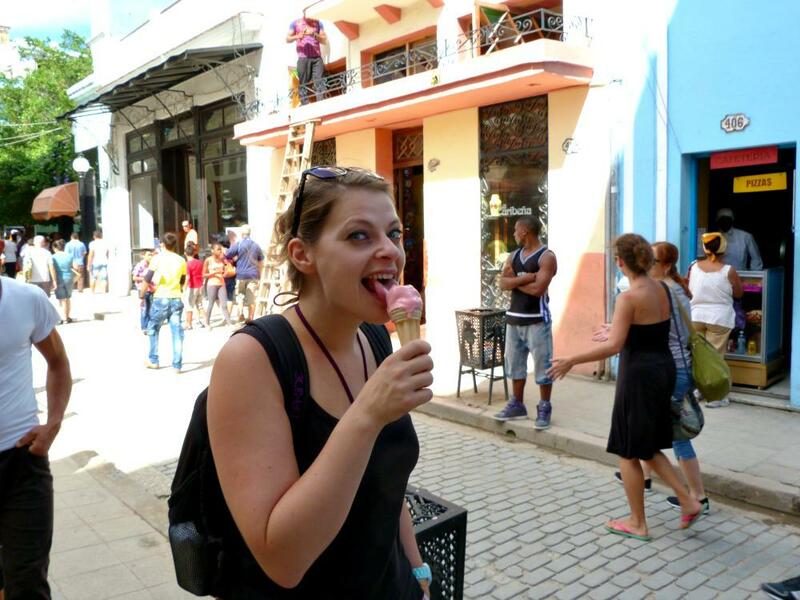 Hi Ania, how wonderful that you will be going to Cuba in February! If you have eight days, I’d recommend you to go to Havana, Viñales and Trinidad. You can find nice beaches close to all three: Playas del Este next to Havana, Cayo Jutías close to Viñales, and Playa Ancon next to Trinidad. Should be doable in eight days! Otherwise, just pick two out of these three places, and add a stay for two nights on the white sandy beaches of Varadero. Good luck with planning your trip! Hoi Edith. Mijn Engels is niet goed. Is dit zelfde verslag er ook in het Nederlands? Hoi Karin, ja zeker! 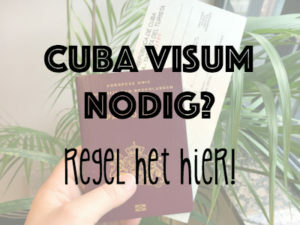 Hier vind je de Nederlandse blog over Havana: https://travelcreaterepeat.nl/cuba-havana-tips-hotspots/.